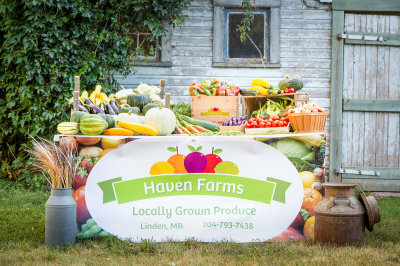 We are a CSA style farm and we sell 3 sizes of produce boxes that we are currently selling on a subscription or one time basis. You can find us at several Farmers Markets in and around Winnipeg! Check back to see what current markets you can find us at! We bought our property between Linden and Landmark in August 2010 as a home for our oldest horse. Naturally, since we had 7 acres of land for our horses and ourselves, it was only fitting to start a garden to grow food too. 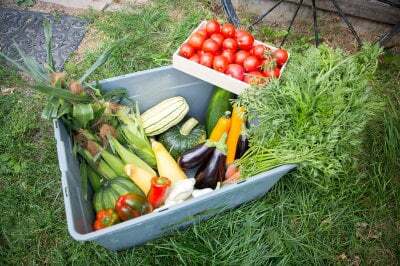 From our little garden, we have found that we are capable of successfully growing all types of vegetables and that we have more than enough food for the two of us. 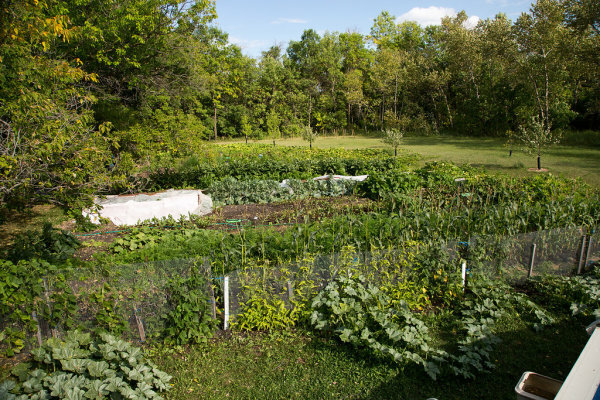 With so much more land available to us for a garden, we are expanding so that we can provide the same locally-grown and organic food to you. 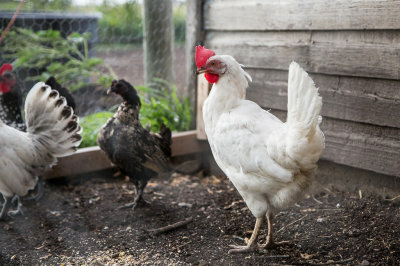 We are also in the process of raising/keeping chickens for egg production, and we are a couple years into creating an orchard, which currently has some young plum, pear, and apple trees. This spring we will be going to Goat school and getting our first goats! We will keep you posted on this new adventure! We recently added 14 different types of trees, fruits, and nuts onto the property. It'll be a couple years before they're ready, but we're already excited! 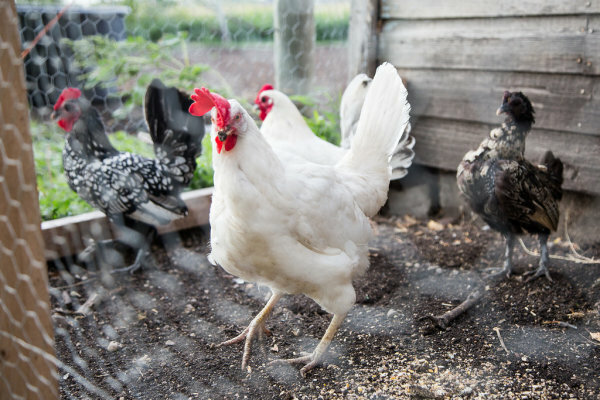 We're just wrapping up the chicken coop expansion - we should be able to have a couple dozen more chickens in the spring, which will allow us to supply more eggs to you! 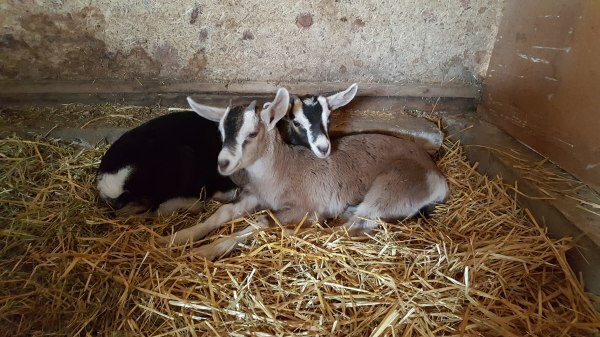 In May 2018, we went to "goat school" - we learned how to care for goats, how to milk, how to make milk/cheese, and how to keep them happy in their environment. Shortly after, we found these cuties! These are the two kids Bella and Rosa, come and meet them with their mom Daisy! 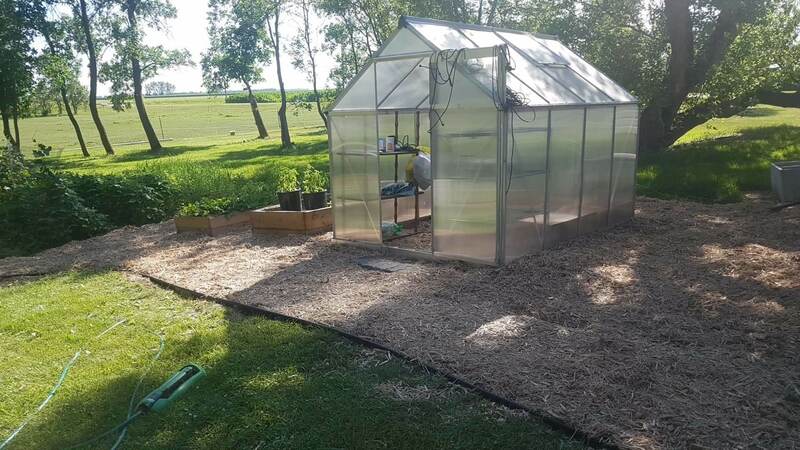 We recently added a small greenhouse to the property as well, a couple small raised beds, and a smaller second garden beside the greenhouse. The greenhouse will help harden off the plants to get them ready for transitioning into the gardens.